Let's just start by saying that 2016 was a crazy whirlwind for Team Thomas! We moved and changed jobs, we traveled, got engaged, got married and bought a house! If you would have told me New Years Eve 2015 what our year was going to hold I would have never believed you, but here we are New Years Day 2017. Of course, life isn't always perfect but together we will always come out on top! As crazy as 2016 was, 2017 doesn't seem to be slowing down anytime soon! I wanted to create this little corner on the internet to share all of the memories and happenings that are too precious to lose. I am also planning on sharing my favorite finds/recipes/shops/memes etc. As some of you know, I have toyed with a fashion blog in the past (of course there will be plenty of that on here as well) but this time around the clothes/beauty/material things will be sprinkled with adventures, love, laughter and hopefully bring some joy and light into this world that can be all too dark at times. 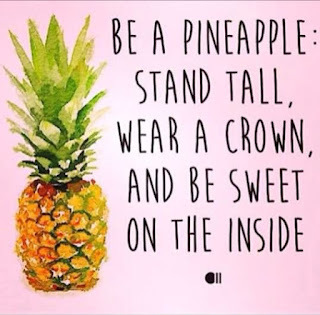 Originally, the blog was going to be named "Life, Love and the Pursuit of Pineapples" but that was a long title... and "pursuit" can be a tricky word to spell... and I wanted to make sure my little blog was as accessible as possible! So whats with the pineapples? As a lifelong southerner, the pineapple has always been a sign of welcome and hospitality. 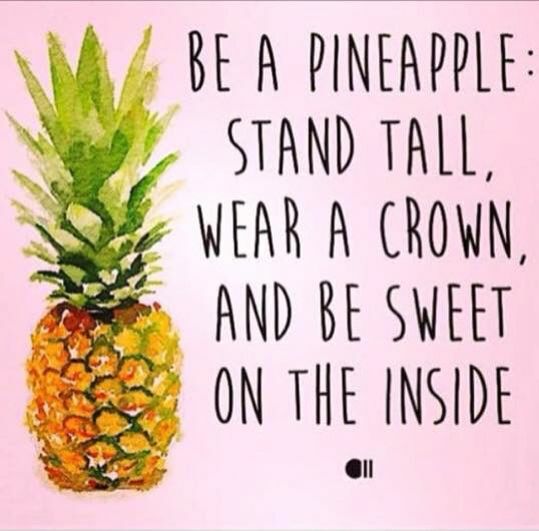 As a total girls girl, the pineapple represents a spirt of whimsy and fun; it also happens to be the subject of one of my favorite quotes. Lastly, if you are ever a guest in our home you will find them everywhere as they are one of my favorite things to decorate with!